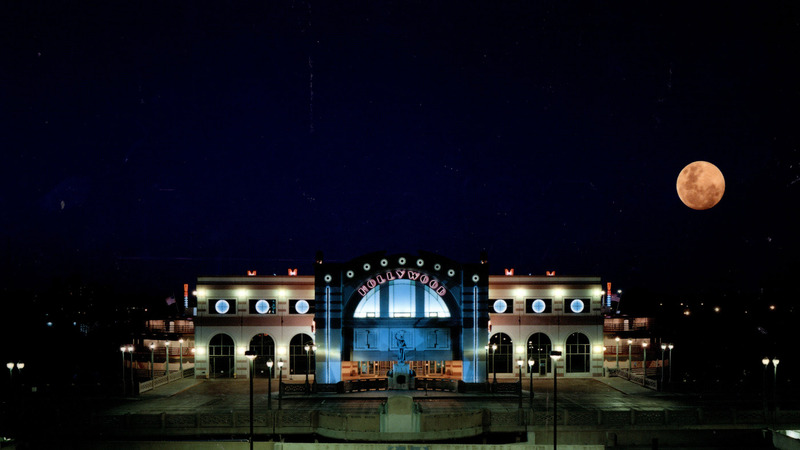 Beginning from the late 1980's, Cordogan Clark & Associates provided architectural, planning, interior design, and engineering services for all the Hollywood Casino's developments. 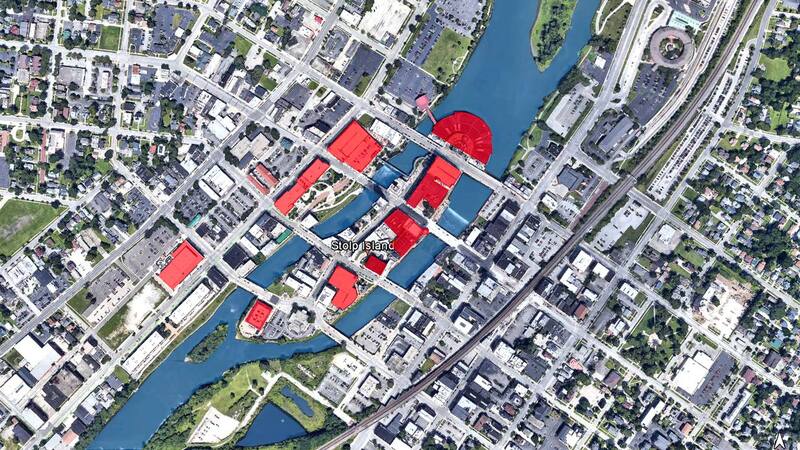 This relationship began with the central docking and restaurant pavilion and 7-story parking structure that supported the original riverboat casinos and included pedestrian links between each of the component buildings. 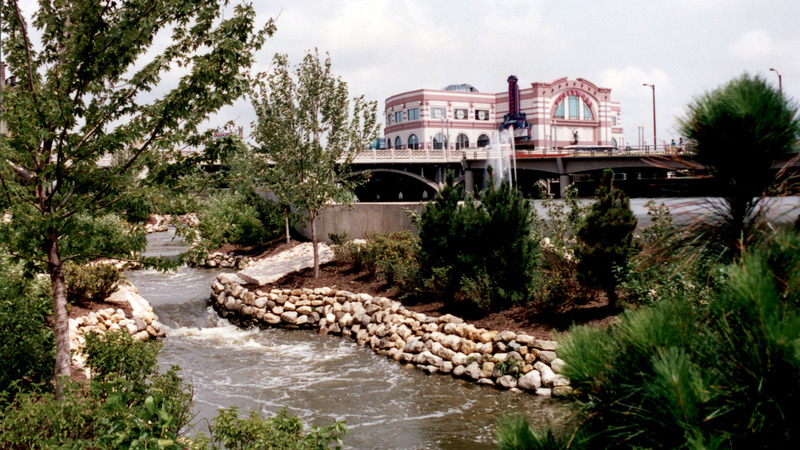 Riverwalk improvements including bicycle paths, paved terraces, and a canoe chute were also part of this phase of the development, completed in 1991. 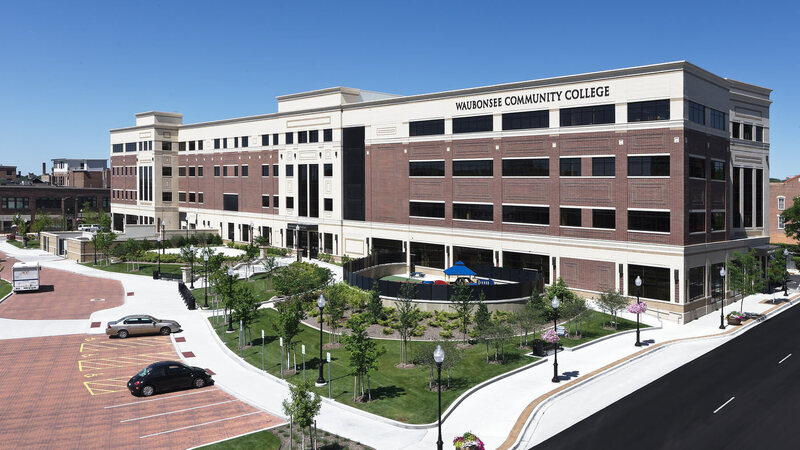 In 1995 we designed a new 10 floor valet parking structure directly opposite the pavilion that not only provided parking for an additional 850 cars, but also served as a link between banquet facilities and the 220-seat Copley Theater in the adjacent North Island Center. 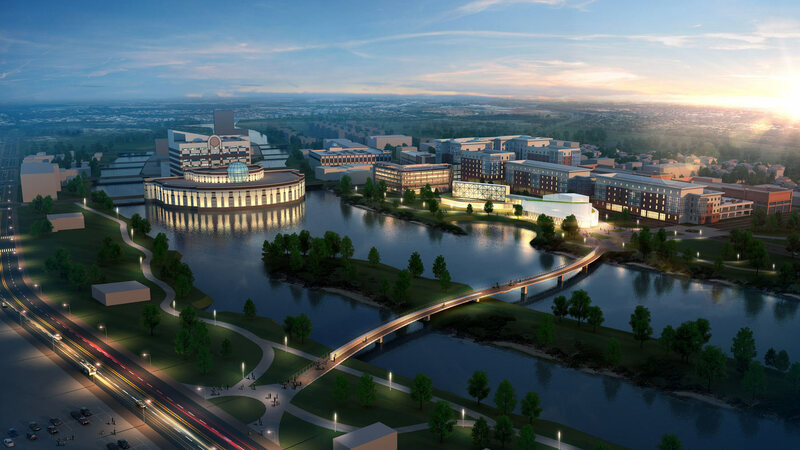 As part of connected and supporting development, we remodeled the North Island Center's banquet rooms, opening their view onto the Riverwalk. 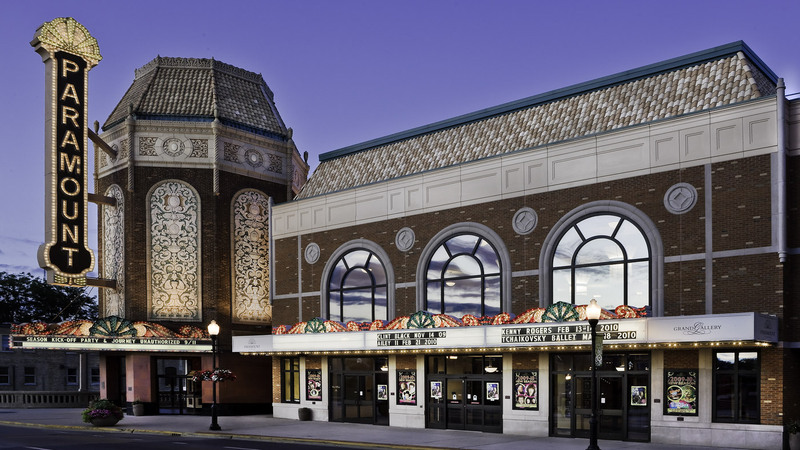 This work enhances the relationship between Hollywood Casino and the 1800-seat Paramount Theatre, which is directly across the street from the Copley Theater and is operated by the same civic agency. 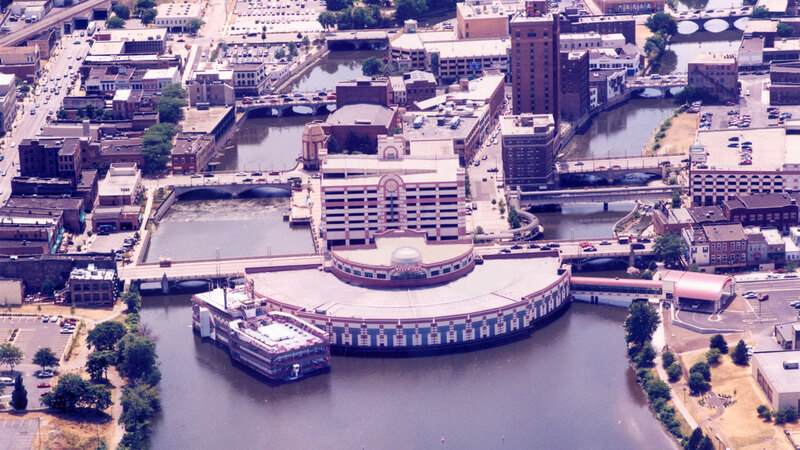 In 1999 a change in Illinois gaming law eliminated the requirement that casino boats cruise, and we began work on the floating, but permanently-moored 80,000 SF floating Casino Gaming annex that now houses Hollywood's gaming facilities. 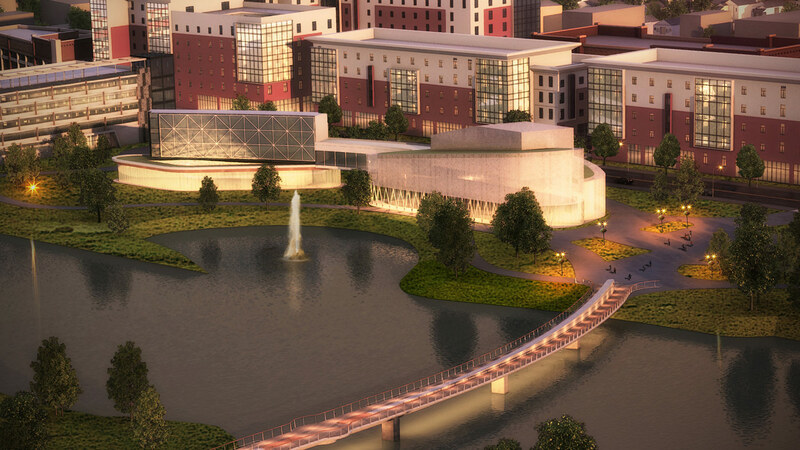 Related projects from that capital improvement phase include general remodeling of the original pavilion building, complete remodeling and re-branding of the foodservice operations, and addition of an entrance pavilion and pedestrian bridge linking casino patrons to a new parking lot on the west riverbank. 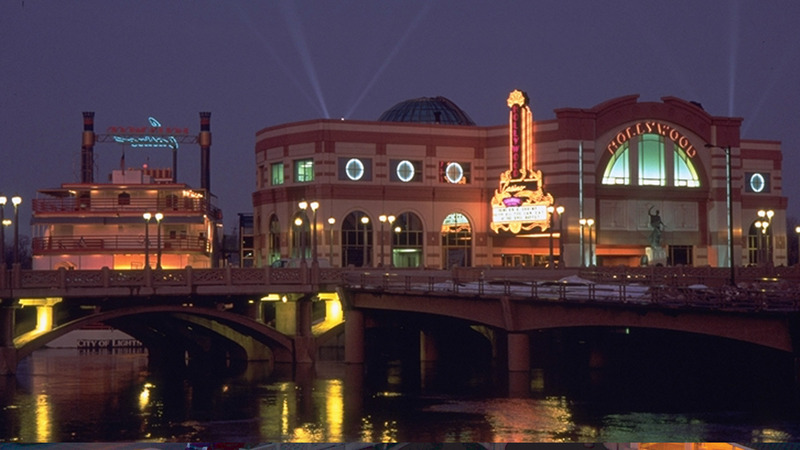 Planning for and design of a new 13,000 SF addition to the Paramount Theatre began in 1995 and was concurrent with much of the Hollywood Casino improvement and expansion. 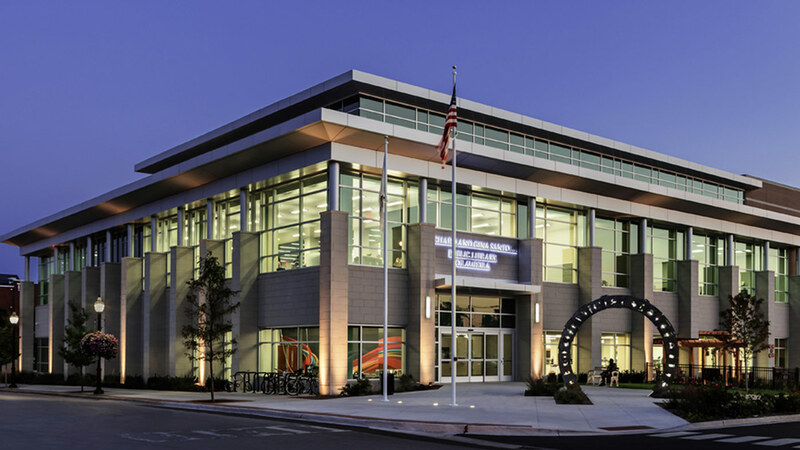 Completed in 2005, this addition provides lobby, event, banquet, and support space that has improved the Paramount's position as a multi-faceted venue. 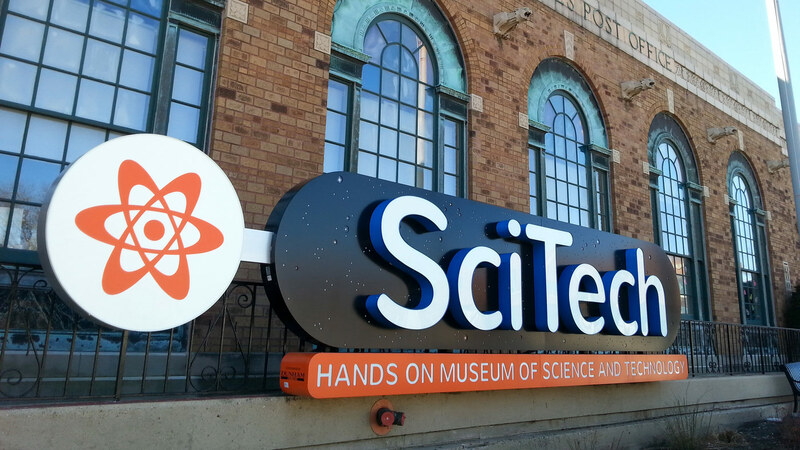 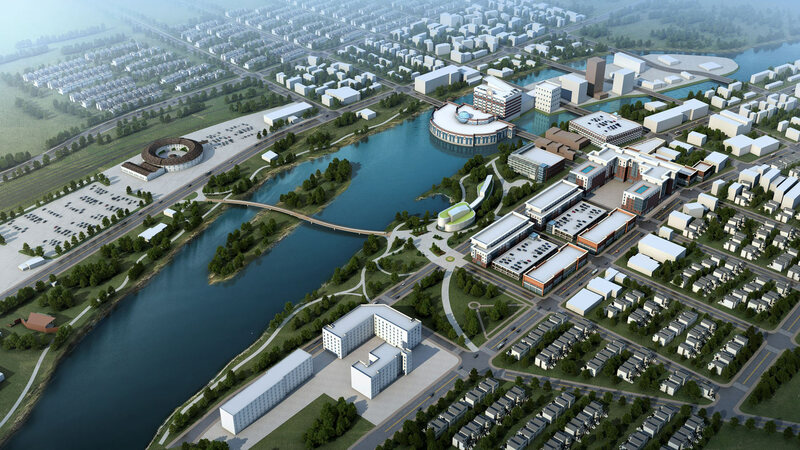 Subsequent projects on and adjacent to Stolp Island include SciTech Science Museum; Waubonsee Community College's Downtown Campus; and the new Aurora Public Library.